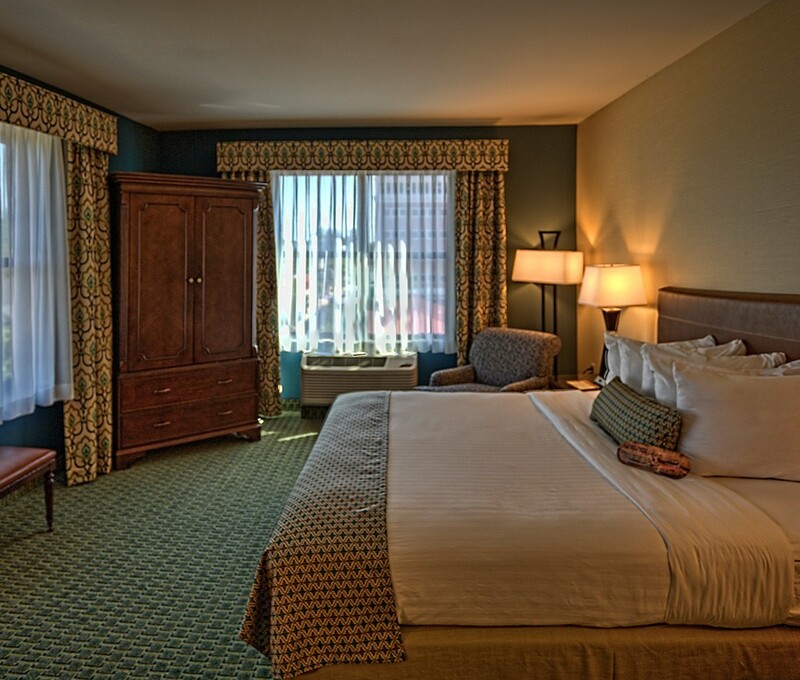 The Hotel Warner offers 6 guest room types, specifically designed to meet the needs of our guests. 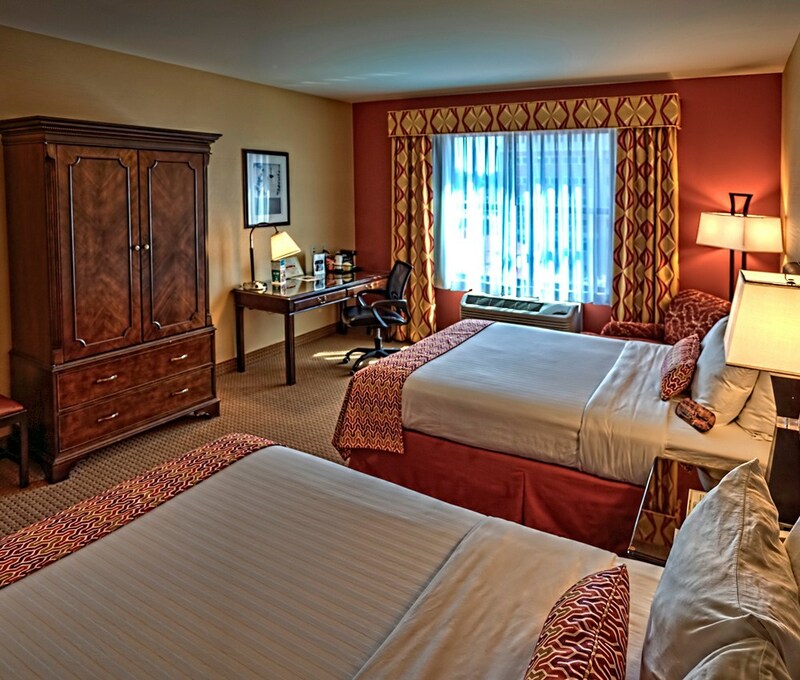 All overnight accommodations include complimentary Hot Breakfast Buffet, WiFi, in-room beverage station and complimentary use of our indoor heated pool, fitness center, and business center. Free on street parking in limited areas. Currently, the 100-200 blocks of West Washington Street (1 block north of Chestnut St) has free on street parking. 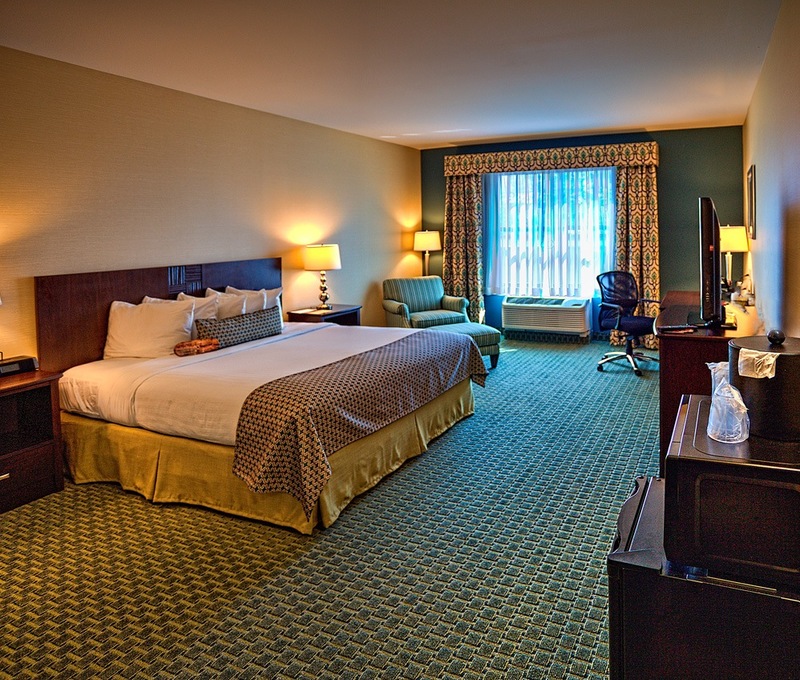 Lavish, oversized and well-appointed guest room, specifically designed for optimal comfort. 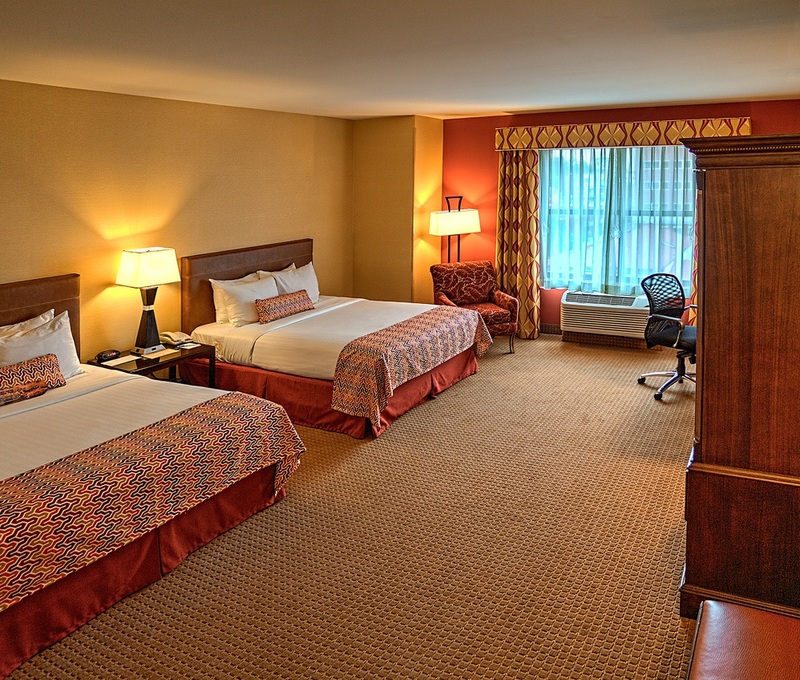 Enjoy this comfortable, quiet and well-appointed guest room, specifically designed for business professionals and traveling couples. The corner windows allow for an abundance of natural light. 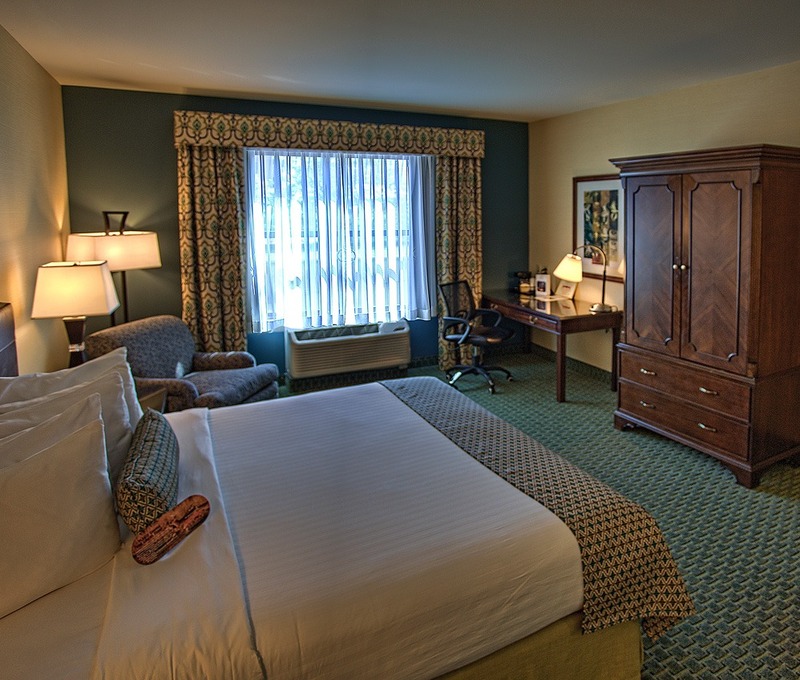 Relax in this spacious guest room featuring 2 comfortable queen beds, perfect for families and traveling friends. 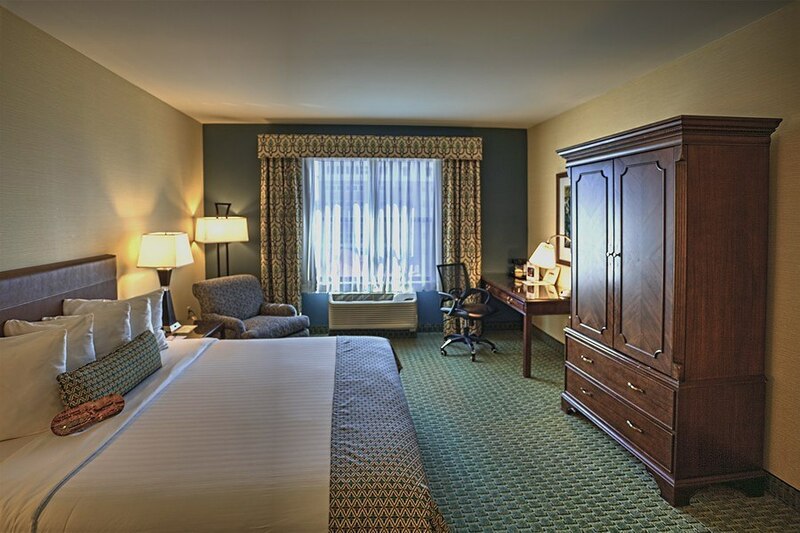 Large work desk and in-room beverage station. Enjoy added accessibility with lowered features and wider doorways. 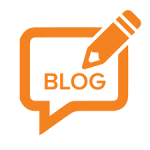 Bath comfortably and safely with grab bars, bathing bench, and a handheld showerhead.